While looking through the service manual for my Honda Civic, I noticed a part that I was supposed to have replaced after every 90k miles. The Fuel Filter. 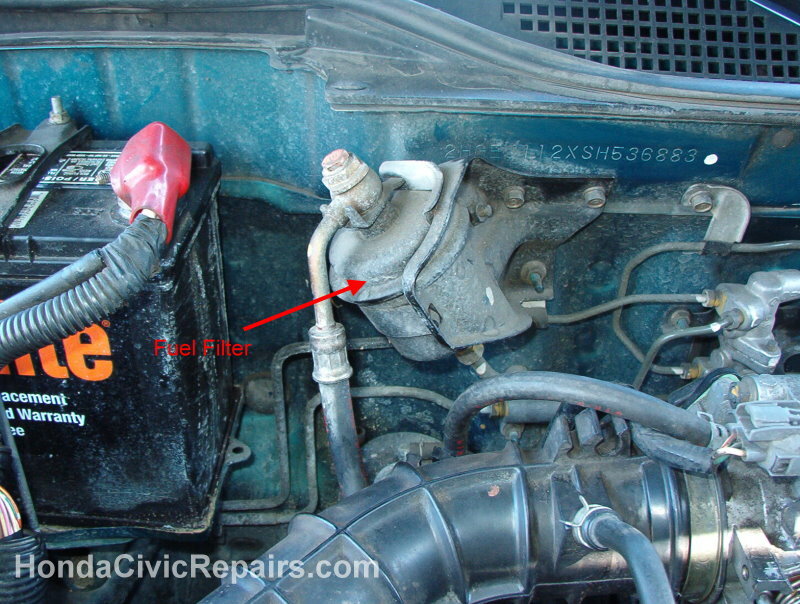 The Fuel Filter helps your car by filtering the fuel to your engine and preventing foreign particles from passing. Considering the rising cost of gas, I figured replacing it now may also help improve fuel efficiency. It could have been an easy task but instead I learned that a flare wrench does a much better job than a regular wrench - less stripping and provides more grip for tightening. Also, liquid sealer does a much cleaner and better job in keeping fuel from squirting through the seams than teflon tape (bad idea). 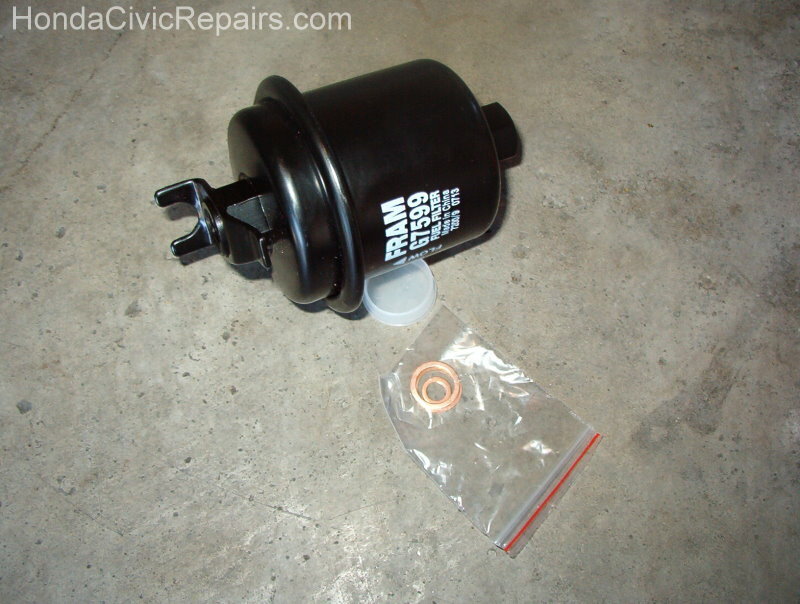 Here's how I replaced my fuel filter for maintenance. 4. 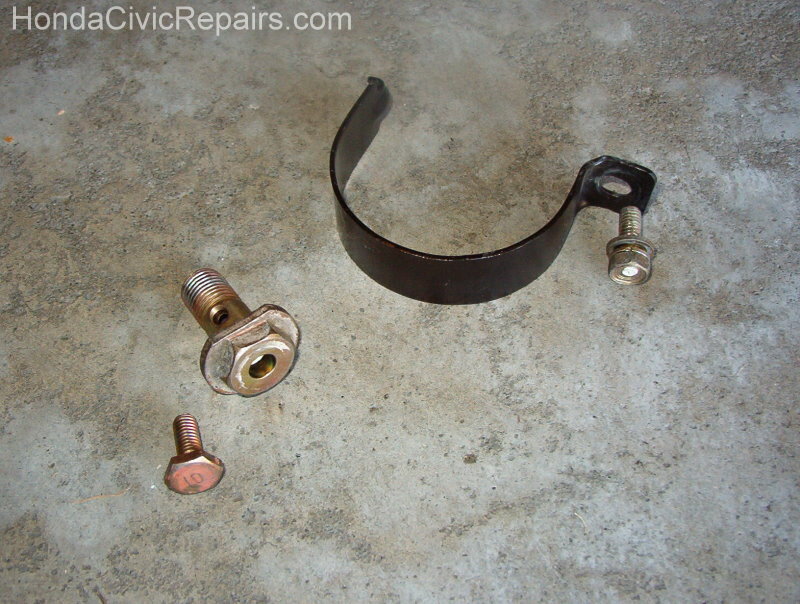 Used a 10 mm box wrench with a towel on top to remove the Service Bolt. 5. Used a 17 mm socket wrench to remove the Banjo Bolt. 6. Used a box wrench to remove the bottom Fuel Line. 7. Used a socket wrench w/ extension to remove the bolt behind the filter that secures the Fuel Filter Clamp. 8. Removed the old Fuel Filter and installed the new Fuel Filter. 9. Replaced the old washer and tightened all the bolts. 10. Used Liquid Sealer along the threads of the Fuel Line bolt. 11. Used a Flare Wrench to tighten the bolt for the Fuel Line. 12. Returned the Gas Cap and reconnected Battery. 13. Repeated step 11 until there were no more leaks.